I came across an experiment a while back that turns juice into spheres (little balls) and I really wanted to try it out. These juice spheres are made in fancy restaurants all the time. They look like little caviar balls. 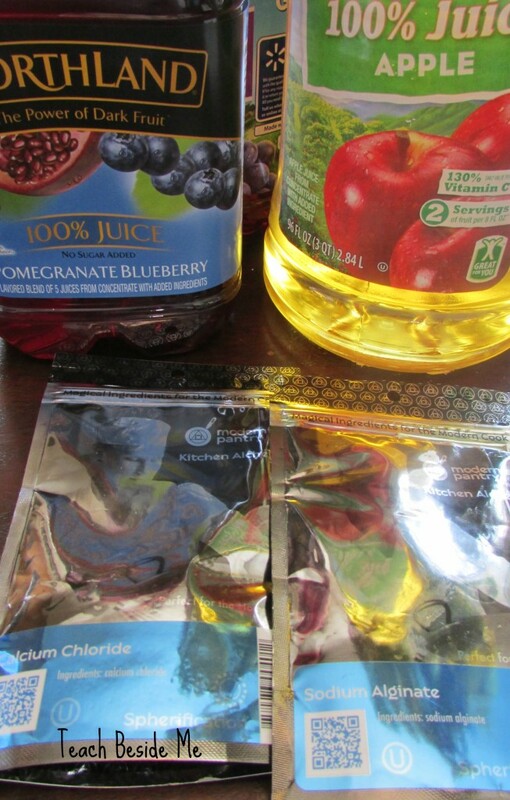 I bought the supplies and several kinds of juice and got it all ready to go. The only problem is that I do not have a food scale. 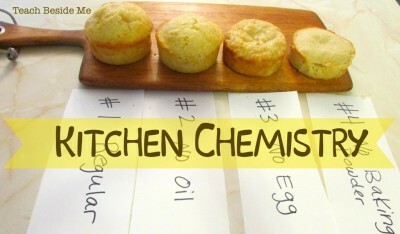 The measurements were all in weight (since it is chemistry) instead of the typical food measurements that I use. So, I eyeballed it. It might not have been the smartest thing, but it’s what I did. Well, this experiment did NOT turn out the way it did in the instructions I saw, but it was pretty amazing, just the same. My kids even called it “EPIC”. 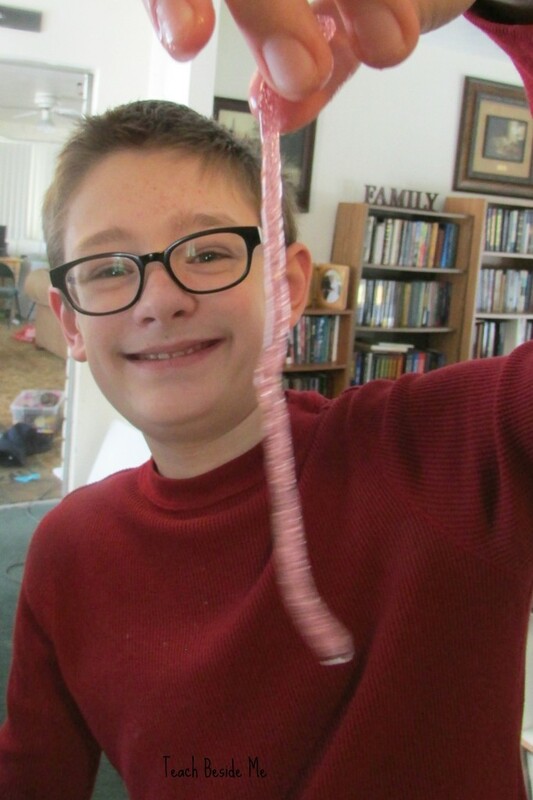 Instead of turning into spheres, as you see, it turned into long strings. We tried to coin a name for it: Juicetti, or Judles, but none of them seemed just right. Any ideas? You will need a few specialized ingredients, that I could only find online: Sodium Alginate and Calcium Chloride. If you want to get high tech, they have special (and super awesome) spherification tools you can buy, too. We stuck to a regular syringe. 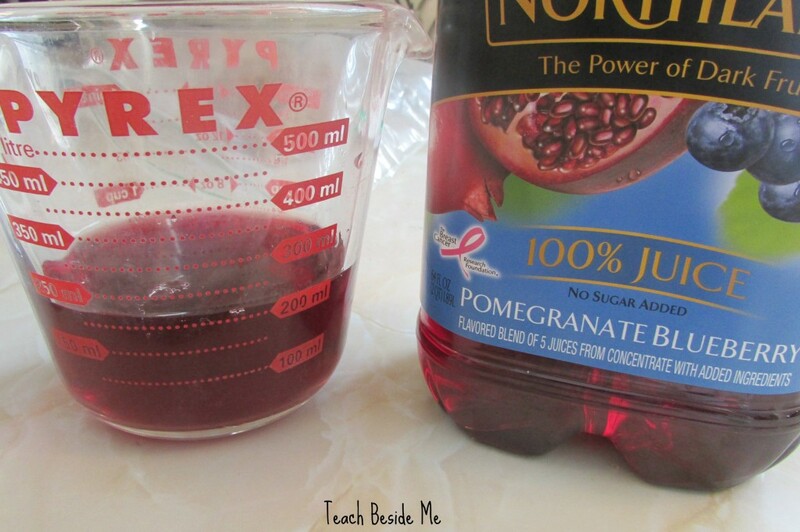 To start, measure out 1 c. of juice. 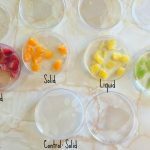 I used 3 different kinds to add some color variety in our experiment. 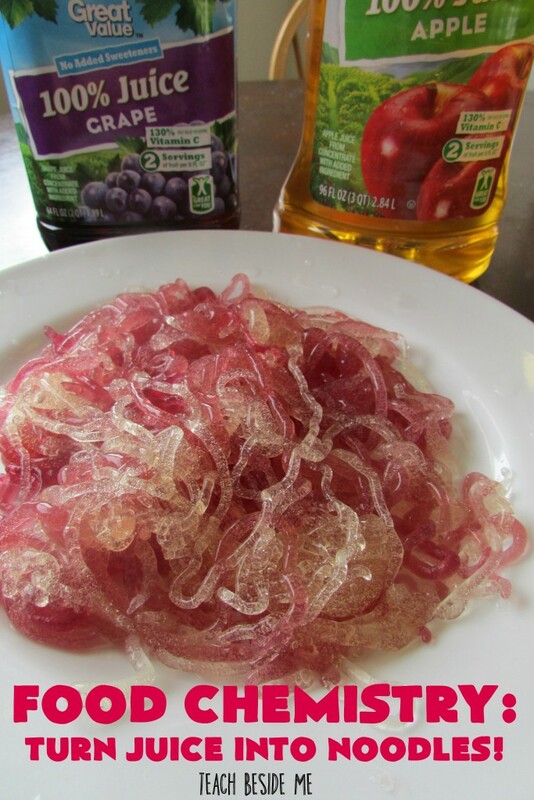 Mix 1 tsp of sodium alginate into the juice. 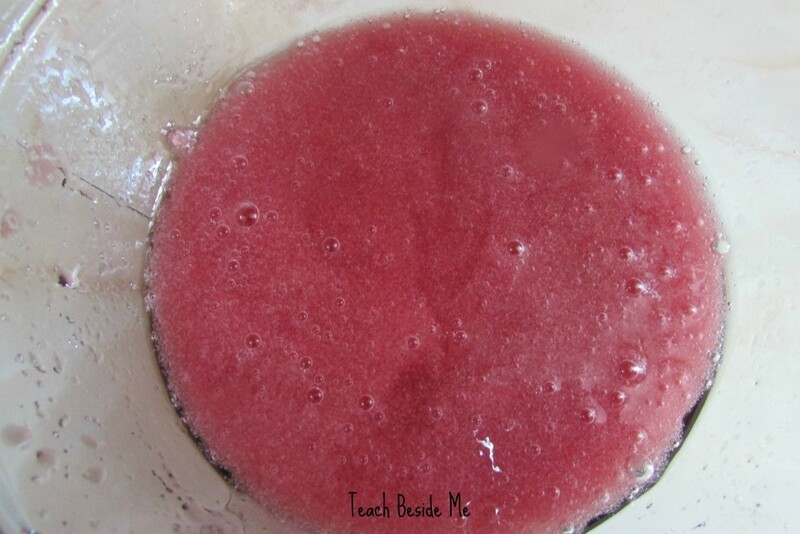 Blend it in a blender to remove any lumps. It will start to thicken. Let it rest for at least an hour to let the bubbles escape. After the juice and alginate mixture has rested for a time, it is time to make the juicy noodles. You will need a large pan full of water mixed with the calcium chloride. I mixed in a teaspoon or two of the calcium in the water. You will also want another bowl of fresh, plain water that you can use to rinse the noodles when they are done. 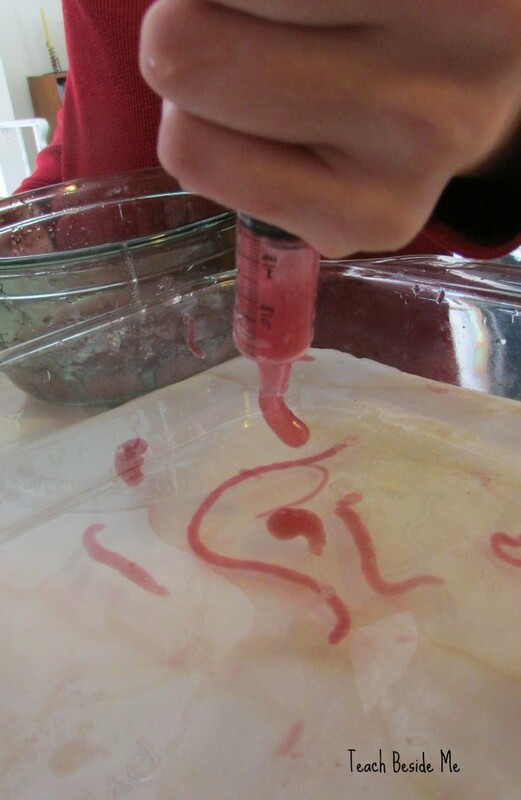 Using a syringe, collect the juice mixture and squirt it into the calcium-water solution. In the presence of calcium, the sodium alginate forms into a gel. This is where it was supposed to be droplets, but ours came out in long strings (probably due to my inaccurate measurements). Remove them from the pan and rinse in the fresh water. My kids did not seem to mind the fact that they were strings instead of balls. Then we just placed them on a plate and the kids ate them. 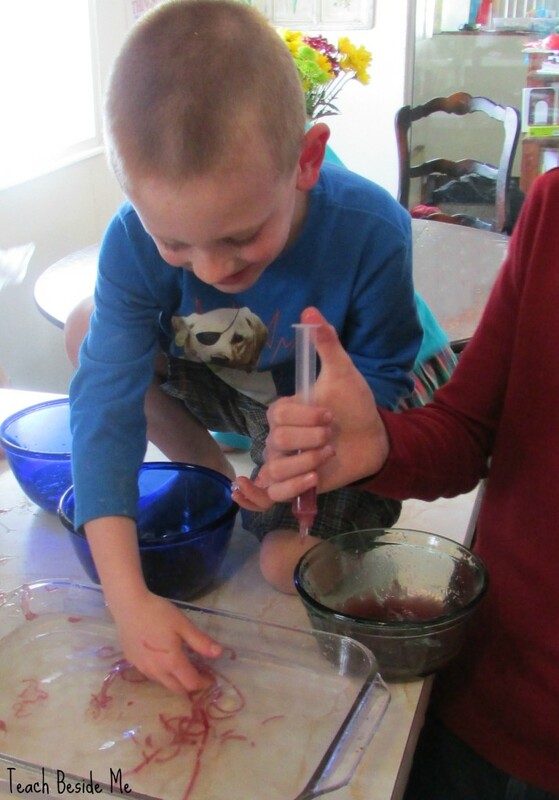 They tasted just like gummies and my kids LOVED them! I am not certain how long they would last, but if you refrigerate them, I think they would last a few days. 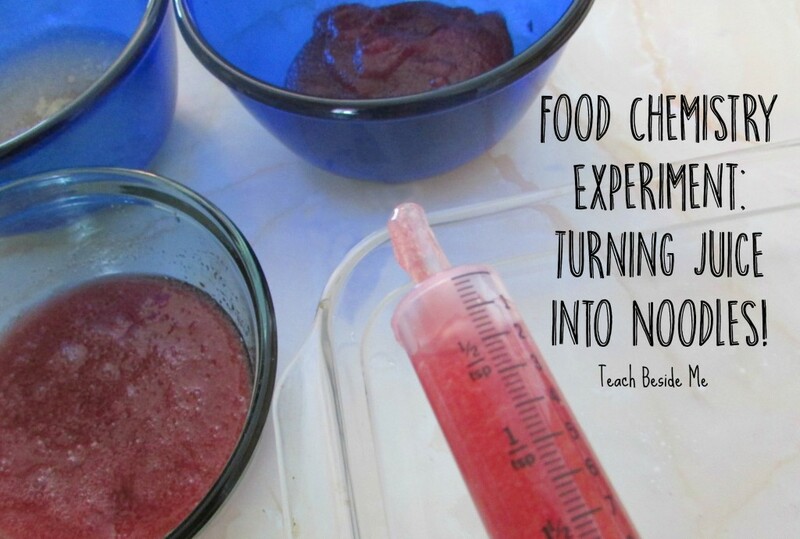 My kids would love this experiment! I think we had a science kit that created a similar substance, only not edible because it wasn’t with juice. This looks like a super fun experiment! I think our son will have loads of fun doing this. I can just hear the squeals of excitement now. so fun!!! Do you know what the chemical reaction is? Why it does it? 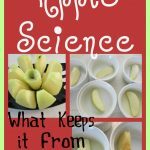 Looking for a neat experiment for my daughter for her science fair. She needs to explain and understand so I was just wondering if you know why it happens. This is about cross-linking polymers. 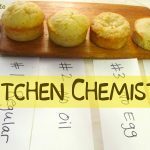 For a science fair experiment, the variable you experiment with could be to compare the behavior of the sodium alginate mixture in a calcium chloride solution vs how it behaves in a sodium chloride solution. Or, what happens when you put the noodles you made using the calcium chloride solution into a sodium chloride solution. Your young scientist can research what accounts for the different behavior – and learn about ions and cross-linking polymers. Kids will enjoy having this experiment at the school. Yup! I thought it would look neat with two different colors. 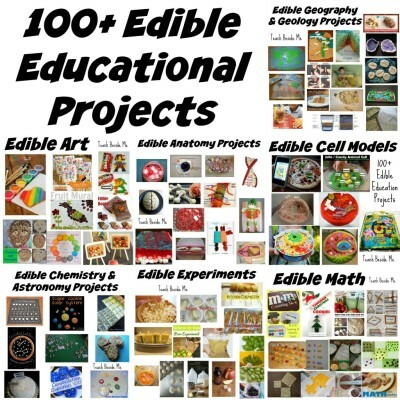 We are doing this for our science fair project and we are very exited to make it!!!!!! Thank you for the idea!!!!!!!!!!!!!!!!!!!!!!! Okay, so while you obviously haven’t made the sterotypical macaroni style noodles, “juiceroni” still seems like a fitting name for these. Where did you get the Sodium Alginate and Calcium Chloride? Sadly I’m thinking this could be an awesome healthy fruit snack for me if I use 100% juice. I got it on Amazon 🙂 It is linked in the post. They are really tasty!! It would make a good snack. 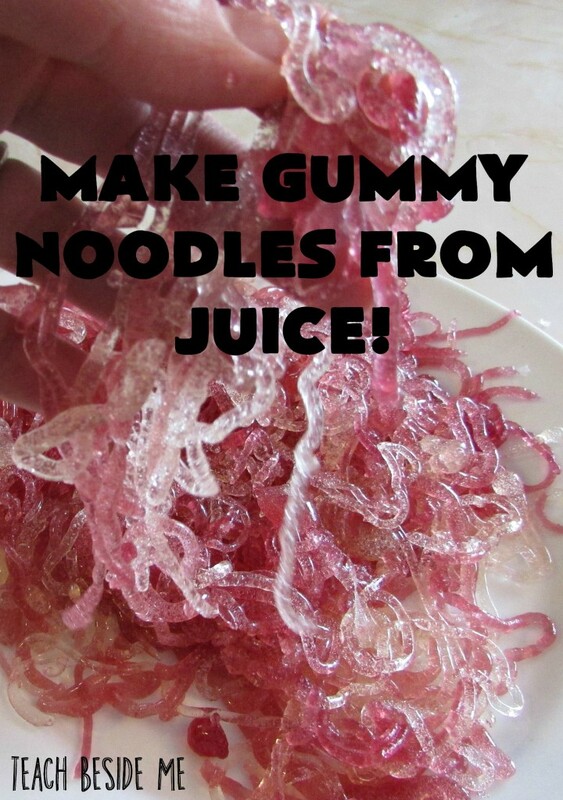 I was going to do this for a chemistry experiment and thought in would work with gelatin, it didn’t. So don’t try to substitute, use the sodium alginate!!! So, what were your measurements for these juice noodles, despite being incorrect. We are going to try this on Friday! Do you know how many batches of this you could do with the 2 oz packages that you linked? I would like to try this for a class but am unsure how much of the Sodium Alginate and Calcium Chloride I would need to purchase. It will make a LOT. You only need a small amount for it to work. I have used it several times already and still have not run out. We are needing to make an invention for my son’s school and I’m wondering if these would melt in hot water? For our idea, we are trying to make a liquid product into a solid (not frozen), but then it needs to melt when put in hot water like coffee or tea. Do you think these would do that? The only thing u probably did “wrong” was ether u put in t much gell agent, or you used too big a suringe. ether way this turned out really cool!